Find me on my favorite social media app, Instagram. My username is runningonhappiness. P.S. the winner of the ad space on The Wiegand's is: Lesleigh! Congrats and thanks to all who entered. Found you! Love Instagram as well, it has totally replaced FB for me. So cute! Loving those pink loafers! Love your pink shoes!!! where did you get them!? Instagram is my fav! Awesome pictures! Love the Instagram effects and your lip color in the middle photo! Cute photos!! You have a great eye! 2. please tell me you did not capture that lady bug with an iphone! 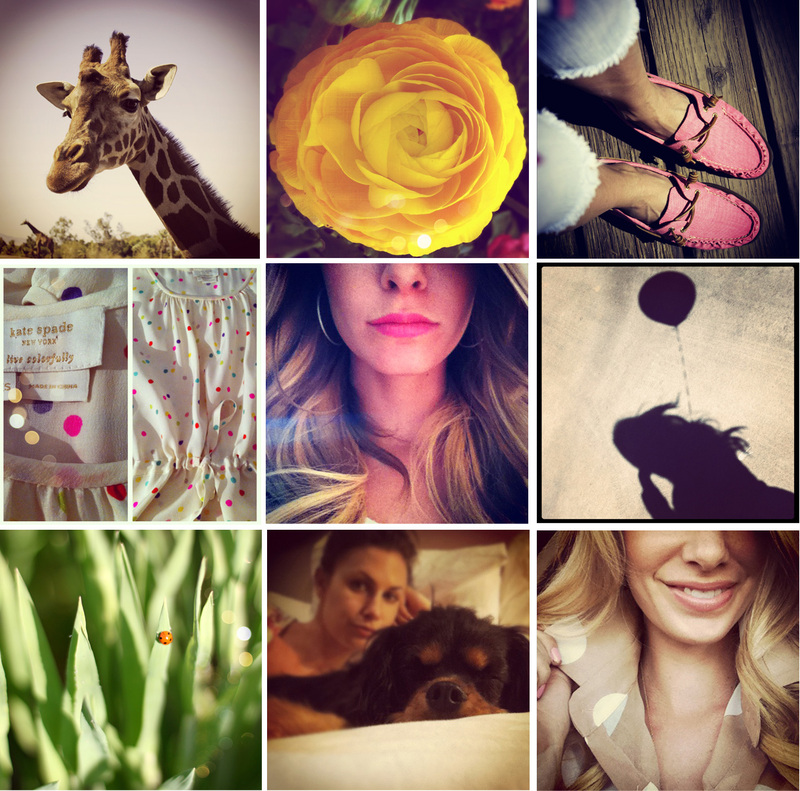 just started following your blog... your pics are adorable! Woot Woot! I am thrilled about the ad space giveaway! Thank you so much! PS Cute pictures, of course. As always! I so wish I had an iPhone so I could use instagram. It looks like a lot of fun. As well as Draw Something. My boyfriend has an iPad and he won't stop playing Draw Something! I want to know what the hype is about!! love how you laid them all out. how do you format the photos like that? xoxo. I just love your hair color! How do you tell your colorist to color it? Where did you get those moccasins?! Giraffes, polka dots, and pink loafers?! Love it! !